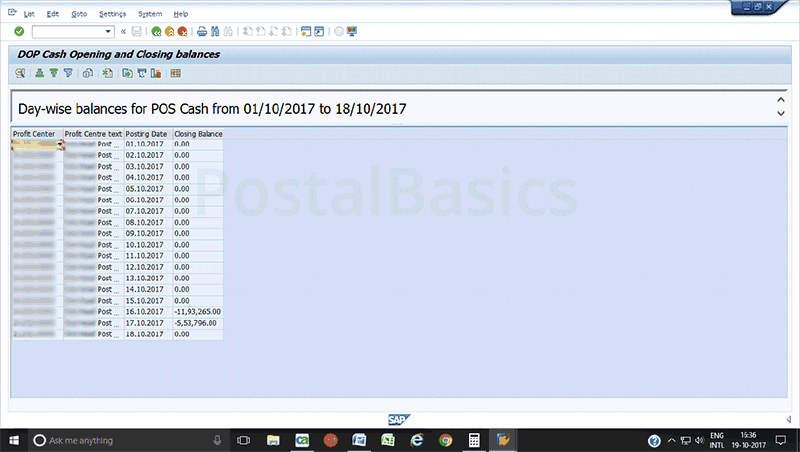 In the previous system, we had SO/BO summary, SO/BO slip and HO/SO/BO Daily account was included with cash, stamp and BO balances. After introducing CSI, there are no such summaries. Daily account is included with physical cash only. In CSI, there are 3 concepts of cash. 1. DOP cash - The cash which is dealt by the treasurer or the cash of treasurer. 2. POS cash - The cash which is handled by counters or the cash of counters. 3. Transit cash - The cash which is on transit (From HO/SO/BO or To HO/SO/BO). 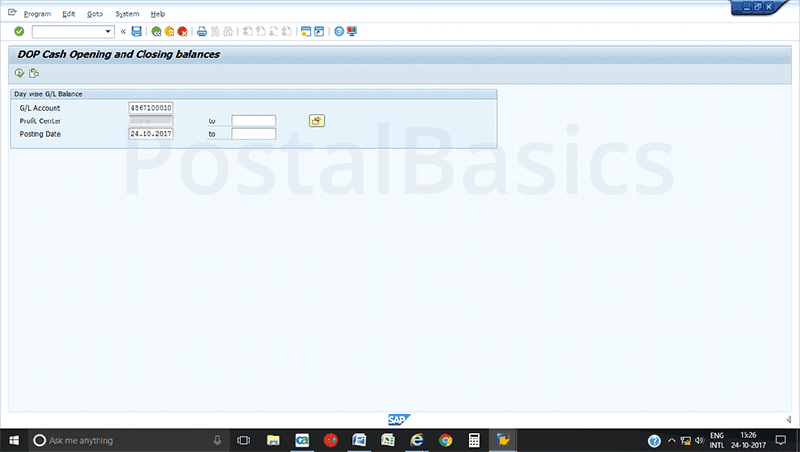 Here comes the question of how to confirm the tally of account daily and monthly? We have a T-code ZFI_CASHBAL to check the POS Cash balance on daily/weekly/monthly basis. When the DOP Cash is tallied with physical cash and POS Cash becomes ZERO then, your account has considered tallied. Sometimes due to network problems, there will be a delay in the daily sync process. So, it takes time to update. Go to SAP, type the t code ZFI_CASHBAL. The below screen will appear. Profit Center No. Profit center number of your office. Now click on Execute. The below image will pop up. 2. something wrong with voucher posting. You should keep on checking ZFI_CASHBAL for a few days until it gets zero. If not, there may be something wrong with voucher posting. Be careful while posting the vouchers. If the same problem persists for a long time then you can raise the ticket to TCS for resolution. Further, the DOP cash becomes short or excess for some amount which is in POS cash, then you should adjust the POS cash along with the DOP cash. When you perform this method, DOP cash gets decreased by 230 and POS cash becomes zero. Go to SAP, type the T-code F-02. When you perform this method, DOP cash gets increased by 230 and POS cash becomes zero.